F Class insulation is standard on the J109F Series relay. 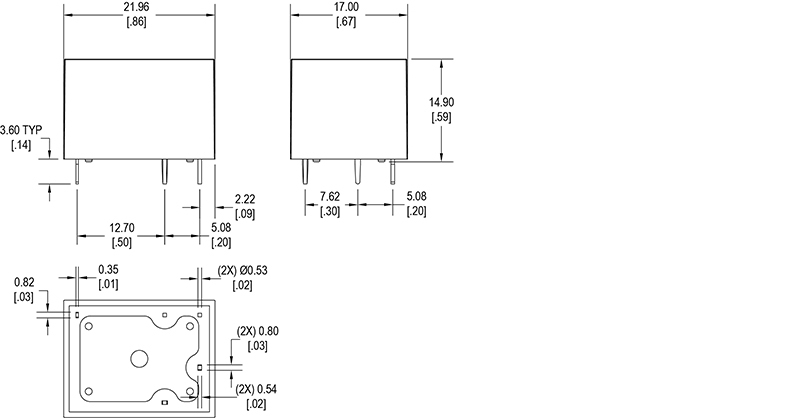 Light-weight and small in size, the J109F Series electronic relay is PC pin mountable with contact arrangement options of 1A, 1B, or 1C. 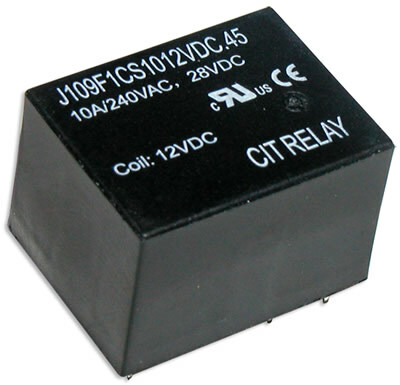 Relay coil voltage ranges from 5VDC up to 48VDC with coil power options of .36W, .45W, .50w or .80W. Dimensions are 22.3 x 17.3 x 14.5mm UL Agency approval is E197851.